We own a training and development business called Ready to Raise where we support schools and communities in their efforts to collaborate and make a difference for children, families and communities. People often call us the “dynamic duo,” describing us as enthusiastic community educators who “walk the collaborative talk.” We believe that building the capacity for productive meeting interactions is the secret sauce in achieving sustained and impactful change. Before writing our book (Raising the Village) and entering into the world of consulting, we co-facilitated a community development initiative that used HELP data to better understand our community, ask better questions about issues and make informed decisions about what makes a difference for kids and families. In 2017, we were thrilled when HELP asked us to design a group process to specifically support MDI users to go from receiving the data towards action. The intent for this project was to create a set concrete “inquiry” type resources that could be used by both schools and communities – the MDI Making Change Process. Some people are data hungry and jump right in to the MDI results; some feel overwhelmed; others use it to focus in on problems, others on possibility. When you were building the Making Change process, how did you envision an ideal relationship with data? There are definitely distinct stages in a relationship with data that groups go through. Some stages are easier and less messy – but it’s the entire journey (so to speak) of exploring, making meaning, developing ideas and getting to action that became the MDI Making Change Workshop process.We designed the agenda and tools to help people work both with the data and with one another to move from exploration to action. The relationship with data we envision works well is one that is guided by an intentional process (activity flow and meeting materials) that makes time and space to surface the diverse reactions that people experience (concern, excitement, celebration, curiosity, confusion etc.). The process will help people understand their reactions and move through any messy or unhelpful reactions to arrive at the point where people can learn together and move forward productively. Fostering a relationship with MDI data means it is less about “presenting” data and more about digesting and experiencing it deeply and then using it to inspire action that supports well-being in the middle years. Group collaboration can be challenging. What do you see as some of the essential ingredients in any well-functioning group looking at using MDI data to make change? As community developers, facilitators and community change agents, we wrote the book Raising the Village together almost a decade ago. The key ingredients for effective group collaboration highlighted in the book are still relevant today (though we continue to evolve, learn and find innovative ways to enhance these elements). Relationships and shared leadership are key to a group making change. Explore the issues without getting stuck in a problem mindset. Shift to a solution, strength-based and systems focus. Listen to stakeholders (this means listen to kids, community partners, all members of a team etc). Find out what makes what the MDI measures relevant. Balance process and action. Know that there are always people in a group that are thinkers and others that are “do-ers” (and everything in between). Leverage all of their strengths to move forward. Complement data with stories and lived experiences in order to foster both personal and collective connections. Learn from one another: share wisdom. Unearth assumptions, biases, and blind spots regularly. Seek diversity in thinking and encourage questions. Get clear on your purpose and check in regularly to evaluate your efforts. These approaches are “baked” right into the workshops. We believe that in order to mobilize a group, school or community, we must consider the interactions (essentially your meetings) as a leverage point to spark, nurture and sustain collaborative action. Meetings are the intersections from which changed behaviours, priorities, information and enthusiasm can ripple out to have a wider effect. Good meeting processes will ensure that actions or projects are executed with a high degree of buy-in that will impact and sustain practices. What are some effective strategies you’ve seen or used to help people feel comfortable to facilitate or host data dialogues? At Ready to Raise we believe in making every meeting a movement! We’ve spent the last decade learning and then teaching how to facilitate “Making Change” type conversations. We’ve broken up the tips into what to do before, during and after your MDI Making Change workshop. Hopefully this information will give you and your school or community the nudge to take the leap and go for it! You don’t have to be an MDI expert to host a data dialogue. The Making Change materials uses a strength based approach that is accessible, powerful and productive… yet simple for anyone to lead. Find some backup! Foster partnerships from the start and enlist a colleague to be your co-host! This is a great way to share the leadership and set the stage for collaborative action. Choose a meeting space that is different and one that will promote interaction (how much space is there to move, what is the lighting like, etc). Share the MDI data ahead of time, give a clear agenda and distribute any background information ahead of time. Prepare and Adapt: Read over the Making Change agenda’s and facilitator guides and PPT’s (if using). Adapt your meeting process for your facilitation style and your audience. Edit presentation and meeting templates to suit your strengths and your group. Reflect your community by including stories from your schools, your community, and your kids to help the process become the catalyst for local change. Greet people as they arrive. Promote an interactive environment by helping people feel welcomed. Informally do some personal introductions and connections before things officially get started. Read the energy in the room and adjust the process accordingly. If you notice a restless, tired or distracted energy – take a break or invite people to stand for a stretch. Include Food! Consider technology usage: PowerPoint slides can help you stay on track, guide the process forward and ensure that activity instructions are clear. But you can also facilitate this Making Change process with NO technology. If you go low tech, try writing up the agenda and key activity instructions on a whiteboard or flipchart to help the process unfold with ease and to give participants a visual element to support the flow. Share a summary of the meeting in a timely fashion while it’s fresh in people’s minds and provide any follow up links or materials. Invite meeting feedback and learn more about what is resonating with people, what else people need to feel engaged in this, and what “next steps” they might be interested in by emailing a simple meeting survey. Are you ready to spark conversations and work to make change in your classroom, school, neighbourhood, or community? Could you use a little help to kickstart this process? Learn more about the Making Change Workshop materials we designed just for you. 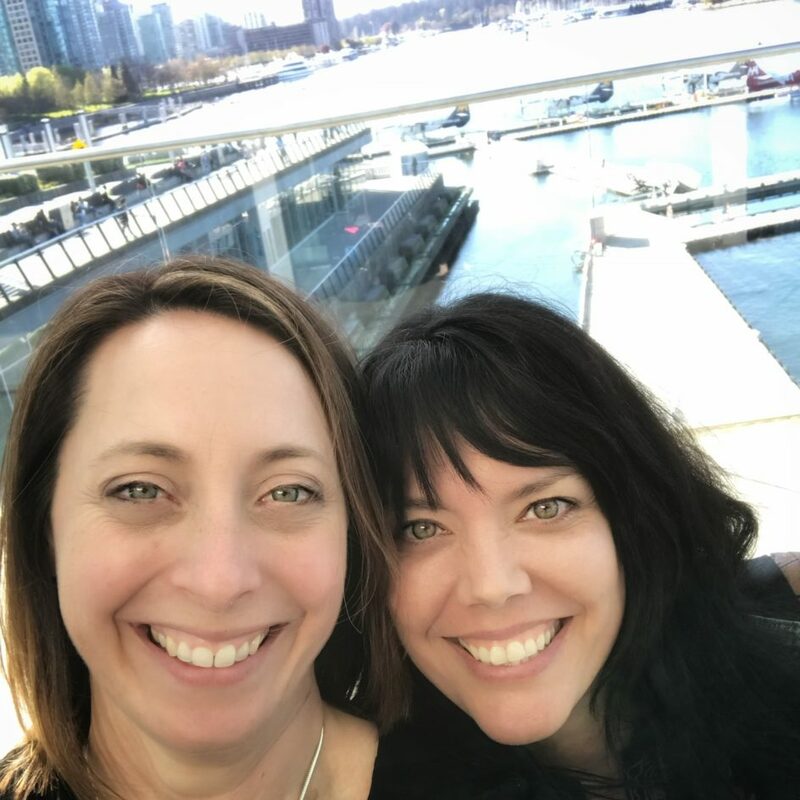 Tracy Smyth and Tammy Dewar of ReadytoRaise will walk you through these new resources they created in collaboration with HELP, and we'll answer your questions about hosting engaging conversations and building action teams around MDI data. Listen to Kim Schonert-Reichl & Greg Smyth dig into the MDI On May 11th, School District 70/ (Alberni) Superintendent Greg Smyth joined Kimberly Schonert-Reichl via webinar to explore trends in children's health, well-being and social emotional development, as well as share stories and resources to support school districts and communities working towards promoting positive assets and well-being for children. [Listen]1 as Kim shares highlights from the the 2016-2017 MDI and some information about the current and future tools on DiscoverMDI that will help you dig in deeper to understand child well-being in your own schools and communities. For those interested in a district perspective, Greg Smyth shares valuable insight about Alberni's approach to well-being, including the district's well-being journey and the role the MDI has played in this journey. His is a must listen. Haven't seen your community's latest MDI reports? Find reports for all participating communities in BC right here. Listen to Kim Schonert-Reichl & Greg Smyth dig in to the MDI.